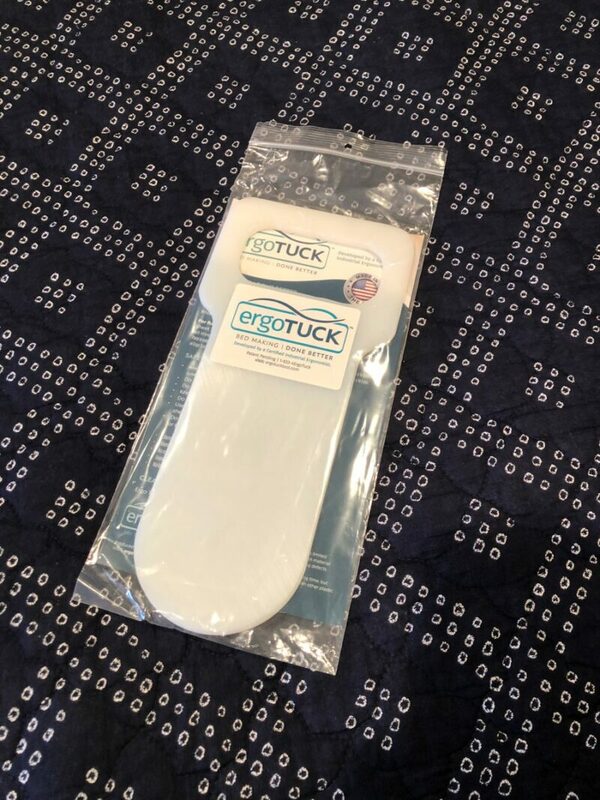 ErgoTuck (Patent Pending) was developed to streamline the bed making process, so beds get made better, faster and safer. 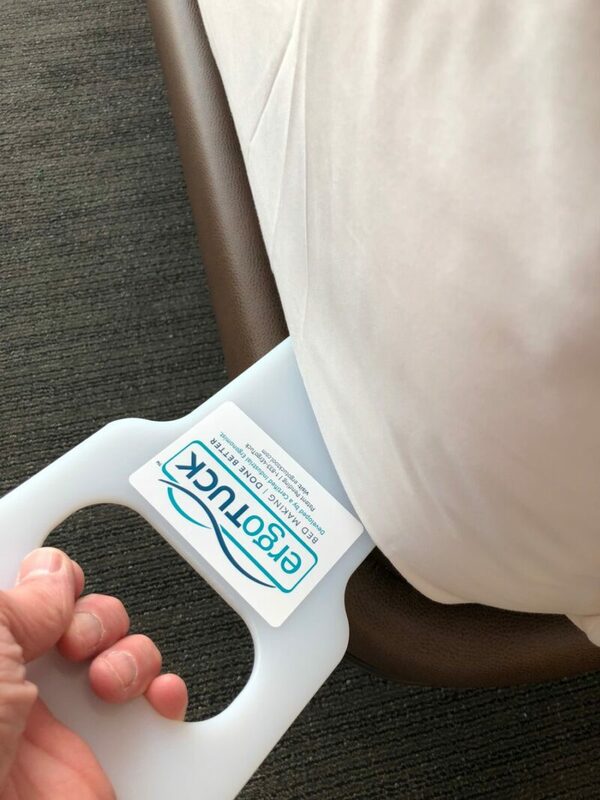 Ease strain from lifting, reduce stress on the hands and fingers, and reduce the risk of accidental contact with needles and other hazardous objects. 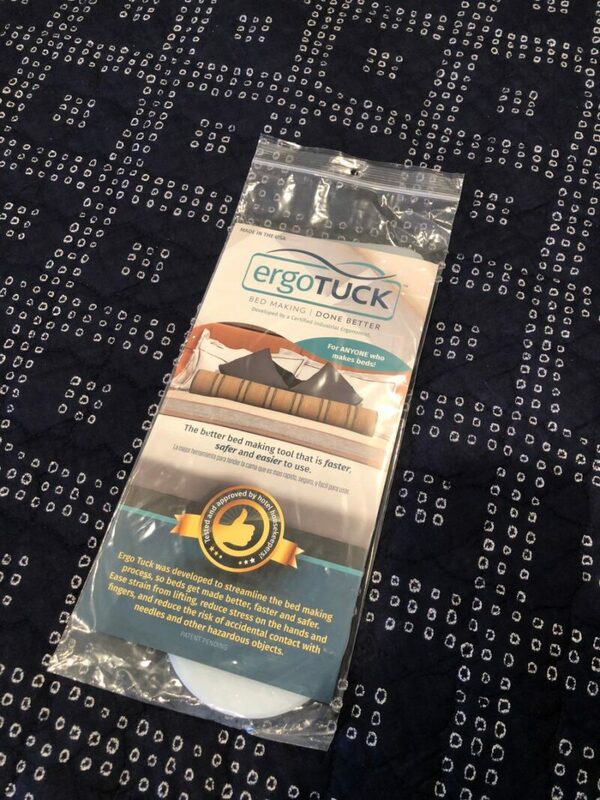 Ergo Tuck is a modest investment that will improve the bed making process for you, your company, your healthcare organization, or friends and family. Save $2/item when you purchase 15 or more and $6/item when you purchase more than 100.